Winner of Evernight Publishing’s Readers Choice Awards for Best Anthology. 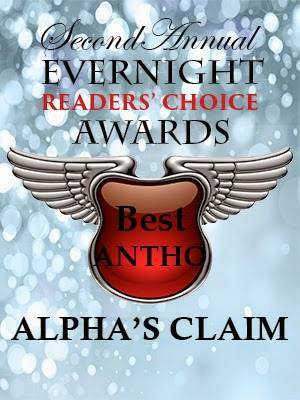 To purchase Alpha’s Claim, click on the cover. You can also find it Amazon, Barnes & Noble, All Romance eBooks and Bookstrand. It is also available in paperback.